Yesterday EA teased that they would be announcing a new game mode today for Star Wars Battlefront, and they did not disappoint. They just announced on their site a new team deathmatch mode titled "Blast Mode". In it, players can participate in 10 versus 10 battles that pit Imperials and Rebels against each other in close quarters on smaller maps, as apposed to the 20 versus 20 on the vast landscapes we've seen in gameplay thus far. The first team to either get 100 kills or be ahead when the 10 minute round ends are the winner. Lead level designer Dennis Brännvall confirmed that Blast Mode will included interior levels on Endor and Sullust, as well as a canyon map and ice cave map on Tatooine and Hoth, respectively. Heroes, villains and vehicles will not be included in the Blast Mode, but various weapons pick ups will be placed throughout the map, which will surely make the battles more interesting. 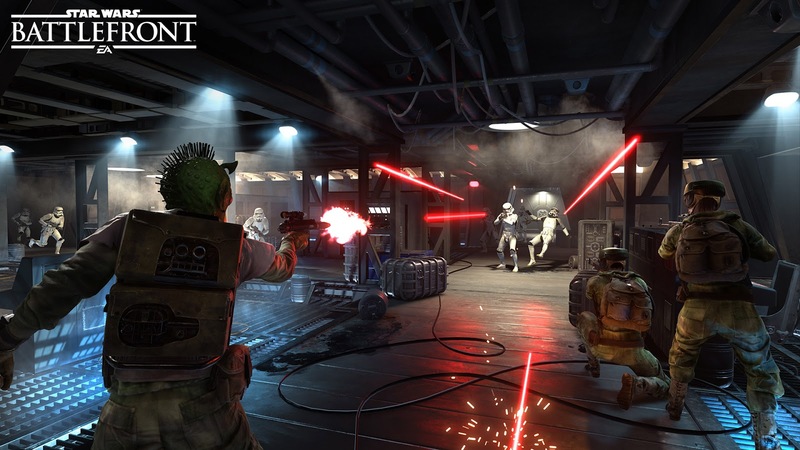 Star Wars Battlefront comes to PC, Xbox One and PlayStation 4 on November 17th!